i remember a few years ago, i saw my mom wearing a scarf. 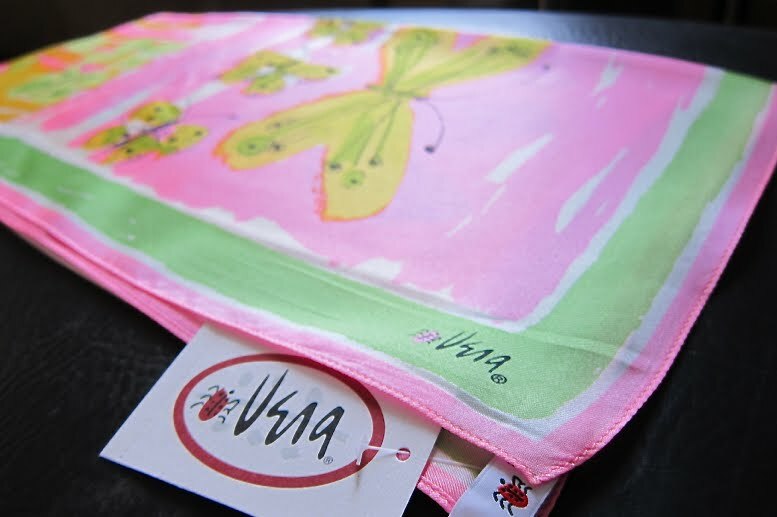 nothing unusual about that, but when i spotted a little ladybug logo at the corner of the scarf, i was like, oh my god!! is that a vera?? and she was like, what's that? hello!! i had never even seen one in the flesh and here was my mother wearing one! apparently, she had this scarf for decades, tucked in some drawer somewhere, forgotten. till she decided to bring it out again. and here i was raving about it. "you want it?" she asked. yes!! but i couldn't. i wanted her to enjoy this precious square of vintage silk. someday i will inherit it. for now, i'll make do with my itchy polyester posers. 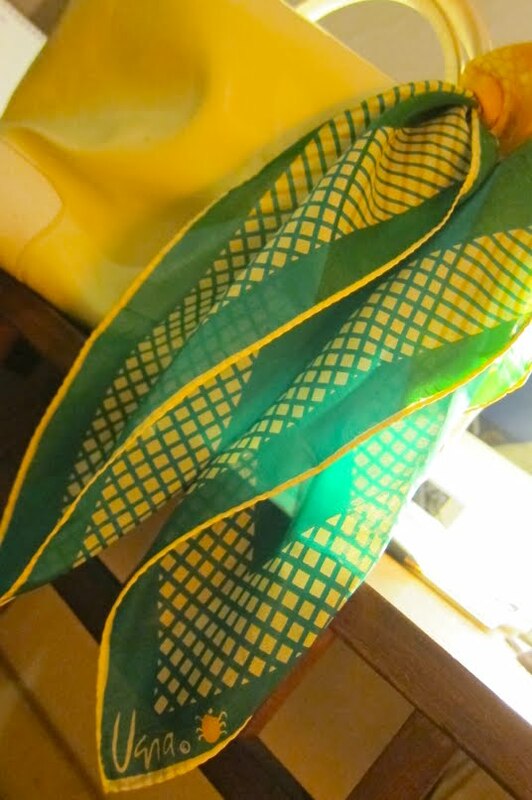 the scarf came as part of the giveaway during the launch of MAC's spring/summer collection. MAC is very much into collaborations—they've been working with celebrities for their viva glam lipstick for years. earlier this year, they launched the irene apfel collection (my idol!). and for spring/summer, it's with vera. bagay na bagay. look at the colors in the makeup collection—and there's the ladybug stamped onto the powder! 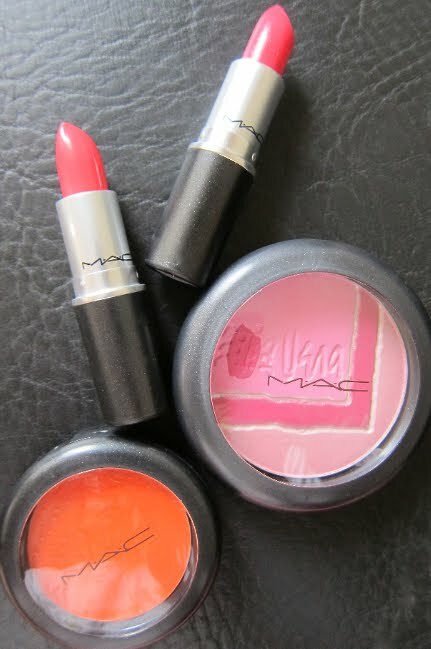 from top to bottom: lipsticks in force of love and watch me simmer, pearl matte face powder in sunday afternoon, and creme blend blush in optimistic orange. love! MAC has other collaborations with marc newson who designed packaging for lipstick and powder, nicki minaj for viva glam lipstick, chenman for a collection, and coming up in june a collaboration with beth ditto, and in october, a marilyn monroe collection. can't wait to see who will be next! i want a vera, too!